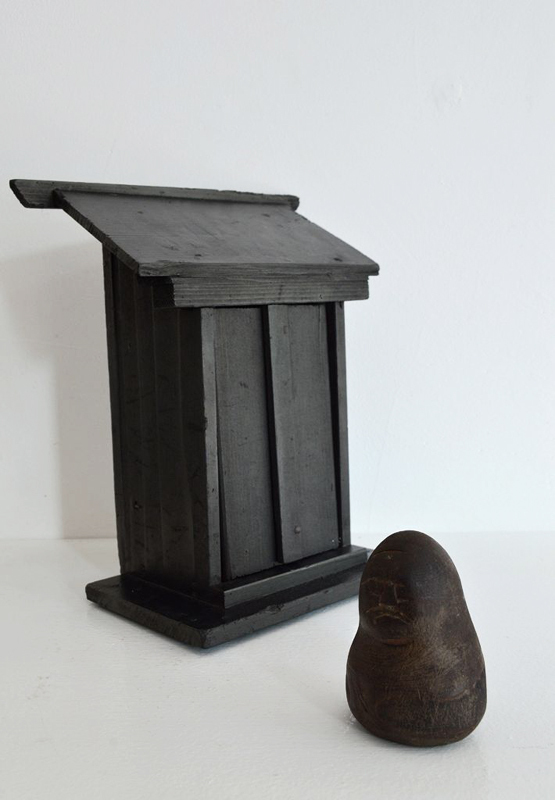 SMALL DARUMA IN ZUSHI (Dealer: titcoRet) – Small wood carving Daruma (Bodhidharma) enshrined in a ‘zushi’ Japanese wooden shrine altar painted with sumi black ink. Showa period, 20th century. Lovely displeased face with such a mouth turned down at the corners called “he no ji” (Japanese displeased facial expression by a mouth shaped like a kana “he” character).